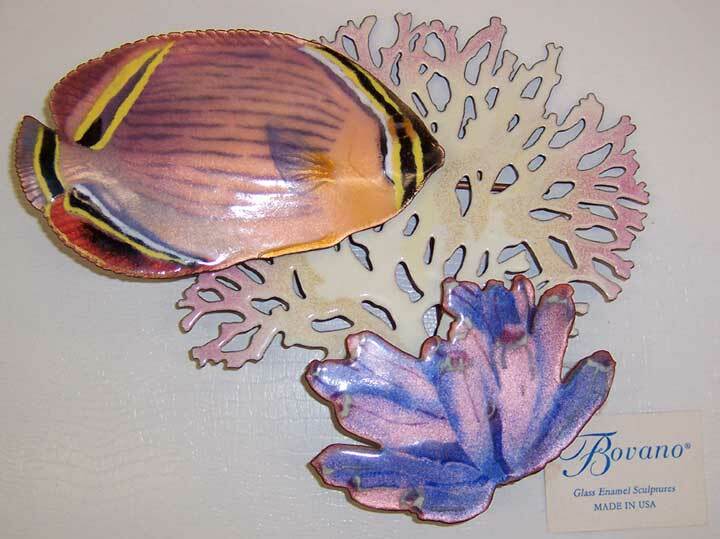 This is Bovano's Oval Butterfly seen with sponge and seafan. It is hand made and since the colors are glass, they will never fade. The size is 8" tall by 10" wide. This piece was first made around 1998 and has been retired for several years and is no longer being created. We have only two available.